A HOUSEWIFE'S CHRONICLES | …..Perceptions and Perspectives….. or maybe, just stuff and nonsense!!! Delhi is a truly fascinating city. It reflects the diversity of India where religions, languages, customs & cultures co-exist in a splendid plural harmony. Magnificent ancient monuments and architectural wonders, enchanting museums and art galleries, a scintillating performing-arts scene, exceptional eating places and vibrant and bustling markets. Delhi has them all. So, is it any surprise that Delhi boasts of an amazing range of avian diversity? This polluted, claustrophobic and downright dirty metropolis hosts as many as 449 distinct species of birds amidst its many parks, ruins and gardens. Delhi with its graceful old gardens and sprawling parks, unexpected patches of scrub forest and elegant avenues of old trees, has an amazing range of bird habitats. All you have to do is find a good spot with flowering shrubs or old trees and then wait to be entertained. The birds will arrive one by one and they do not care if you greet them or not….. 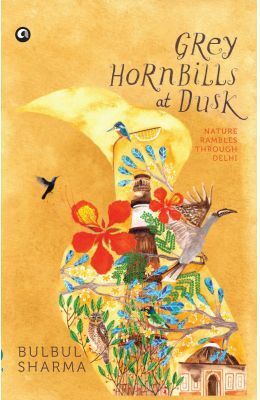 In her latest book “Grey Hornbills at Dusk”, Bulbul Sharma highlights Delhi as a veritable paradise for the urban bird watcher. By providing an account of Delhi’s resident and migratory birds, Bulbul Sharma not only opens a new perspective for her readers of observing their city, but also makes them a little bit more aware of the amazing gifts nature has given us. Its remarkable variety of habitats and species makes Delhi the perfect place for an introduction to birding. It takes little or no effort at all to become a bird watcher in Delhi, because the birds are right there in front of you at your very door step. Birds have flocked to Delhi for hundreds of years to seek shelter, food and companionship and made it one of the best cities for bird watching in the world. There is no part of the city, however crowded, that does not contain at least a dozen different bird species on display at any given time. The narrow crowded lanes of Sadar Bazaar, one of the largest wholesale markets in Asia, will have mynas, sparrows and parakeets flying around shops. The ruined tombs on the outskirts of Delhi give shelter to many birds and the playing fields of various schools in Delhi have koels, parakeets, Brown Doves, Flame-backed Woodpeckers and many other birds sharing space with the children. “Grey Hornbills at Dusk” is not a scientific guide to birds and trees. As an introductory book to bird watching, it is something more valuable than that. Bulbul Sharma has been an avid birdwatcher for the past 25 years and in this book she has distilled her delight and pleasure of bird watching in particular and observing nature in general. For any one embarking on the bird watching journey for the first time, it can serve as a handbook thanks to the comprehensive information about the various floras and fauna of Delhi provided here. But the task does not seem daunting thanks to the amusing and often hilarious anecdotes interspersed throughout the book. The anthromorphic narration of her encounters with various birds, bring them to life making the reader eager to seek them out and talk to them. Therein lays the success of the book. The author’s passionate love for nature is contagious and as we explore every nook and cranny of Delhi, seeking out the elusive birds and delighting in what we find, some of her enthusiasm brushes off on us as well. Even if someone is not very interested in nature, “Grey Hornbills” will make a reader feel involved and just might evoke a desire to explore our wonderful world of nature. The author has weaved in the nature related quotes and passages from folk lore as well as literary works by such authors as Kalidasa, Amaru and Kipling. This adds to the charm. So even if a person is not yet sold out to the cause of nature, this book would still prove an interesting read for a variety of reasons. My only lament regarding this book is that it did not have enough pictures of birds. The words and description evoke such curiosity about the birds that one wishes to seek them out and see them. Had there been pictures too, the book would have become a Ready Recknor for a beginner bird watcher. The book does contain a series of pen and ink drawings of birds done by the author herself, and they are excellent by the way, but my complaint is that they are not enough. 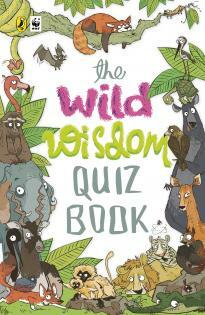 Here I must make a special mention of the book cover, which is a total delight to behold. Since Delhi offers something interesting in every season, the book is divided into four sections, each corresponding to a season. I’ll let the author herself explain to you her reason for this format of the book. Every season brings a new flavor to Delhi’s parks and gardens. Sometimes the change is so dramatic that you may not recognize a tree when it does a quick change t wear a different look for summer or winter. The laburnum, for instance, looks like a shabby, bad tempered tree in winter when it has no flowers. Its branches are covered with long brown sticks which rattle in the breeze like witches muttering curses. It does not care that the other trees like the Silk-cotton and the coral have brought out beautiful red flowers. It waits and watches and it knows, like the ugly duckling, it will change its form one day. Once the winter flowers fade and the Delhi spring arrives and is about to leave, making way for summer, the blossoms on the laburnum arrive slowly. And suddenly, one day, the tree becomes a fairy tale creature with streaming golden flowers-the magical yellow pyramid shimmering in the sunlight. Delhi wears a beautiful cloak of verdant green during the rains, changes it for a thick shawl for winter and then quickly discards it for a lighter, cotton-shirt-look for the fierce summer. We, who live in Delhi, follow the rules and change our lives according to the seasons. If you spend a year in Delhi you will realize residents of the city are so tough and thick skinned. Unlike balmy Mumbai with its soothing sea breeze, hot and humid Kolkata with its delicious cool evenings and always tranquil Goa and Bengaluru, Delhi makes its residents struggle for a bit of warmth and then for a bit of cool shade. There are rewards of glorious summer flowering trees, the crisp air of cold winter’s day or the scented nights of the rainy season. We complain as we shiver in the bitter cold, burn under a harsh summer sun, then gasp and sweat when the monsoon arrives, but there is the belief and beautiful Delhi spring which brings fragrant flowers, gentle sunshine and joy to our hearts. This is a rather long excerpt. But this is my favorite passage from the book, as it not only made me fall in love with Delhi, but actually made me feel grateful for all Delhi has to offer us, if only we have the eyes to see. End of October is, traditionally, not the time of the year to retrospect. But, strangely, for the past hour or so, I have become rather overwhelmingly aware of the fact that 2016 has, so far, been rather good to me. And boy! What a wonderful feeling that is!!! And then, simultaneously with this awareness, came an overwhelming desire to write and share this thought on the blog. 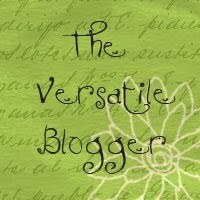 The fact that I have not blogged in a long time, is a thorn in my flesh. This, in fact, is a major blot on my above said contentment. There are things that I want to say. There are things, I feel, I MUST say. And yet, whenever I thought of blogging, it was always in the future tense. “I AM going to write, have no fear”, I would tell myself. “As soon as I finish reading this stack of books because they are due at the library next week. And I’ll be darned if I return these unread! !” Or I would say “after I finish knitting my current project, because, you see, it is URGENT!” As it turned out, SOMETHING or the other always, but ALWAYS, took precedence over writing. Basically, because writing is not easy for me. I am not readily given to expressing my thought. In other words, I did not particularly, enjoy expressing my opinions. Not because of an absence of thought. But, because as soon as I have thought a thought, I have already experienced it. Writing it out and even speaking and discussing it means just spending more time on the same instead of experiencing something new! Now ironicallyThese aforementioned “new experiences”that I have gained at the expense of writing, have changed my opinion about writing.I I have realised the value of interaction of thoughts and ideas. So, to me now, the expression of ideas, however inane and time consuming, is becoming increasingly coveted. No wonder then, that as soon as I felt that I should share this feeling of contentment on the blog, I decided that I must act on it. So, that’s the reason for this post. But, now, to the initial feeling that prompted this post. This evening, I was feeling rather vanquished by the clutter monster. For the past 6 months or so, I have waged a concerted and protracted battle against clutter in my home. Being a minimalist at heart, I get upset by too much stuff in the house. So, I sat down to systematically exterminate clutter. And as Diwali approached, I intensified my efforts to de-clutter every nook and cranny of my house. But now that diwali has come and gone, I just sat down to review the progress, and I had to admit that the things are still far from my vision. This, frankly,was a rather tiresome realisation because not only do I NOT enjoy decluttering and organising stuff around the house, I would rather spend that time reading or knitting or even doodling. Decluttering was just a means to the end of increasing my overall productivity. In an organized environment, I would get to spend more time reading/knitting/doodling. But now I am running out of stem as I was physically getting tired of the all the work involved. So, I was feeling rather pensive this evening and about to give up the effort and just let the things be. And then, in a moment , my perspective did an about turn. Suddenly,instead of seeing all that still needs to be done, I saw clearly, how FAR I have come! I realised that the scenario today is, definitely, less than ideal But 6 months back, it was so much worse and I truely deserve a pat on the back for having come this far. This blog post is that well deserved pat. “Oh yes , you could”, said the tamer of the clutter-monster presently, poised and confident to tackle the blogging-monster as well. 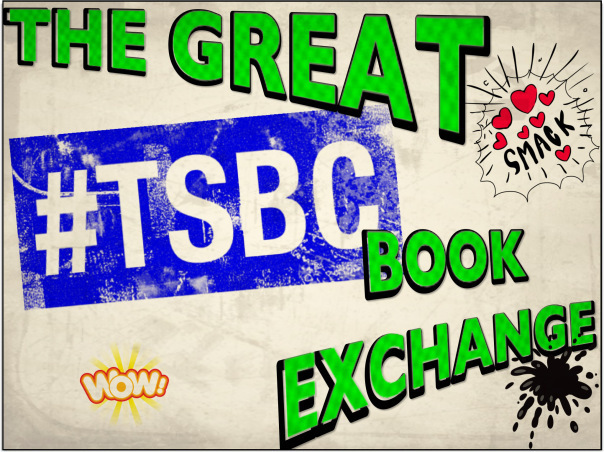 #TSBC is a labour of love for us and we haven’t let limited resources or our personal lives deter us from our goal of sharing the love for books and the joy of reading with all of you. May we say, with pride and happiness, that we have succeeded to a large extent in this and #TSBC has become like a little family now ? Reading books about revolutions usually plunges me into a deep melancholia specially if it features and idealist revolutionary willing to lay down his/her life for the revolution convinced that utopia is just round the corner. I almost did not read this book for this reason. But since this was given to me as part of the #TSBCBookExchange, I wanted to read it too. Now that I have read it, I find that it has a lot more to offer. The movement is the framework on which Lahiri weaves a rich tapestry of relationships, feelings, conflicts between various characters. I usually like it when an author, instead of following a chronological order, keeps jumping back and forth through time.I keep a look out for when and how the authors reveals the various folds in the narrative and why did she choose to do it this way. In this book, this was used skillfully to keep the interest in the story alive but sadly what was lacking was content. The characters though interesting are not fleshed out fully and I particularly found the third person dialogues rather stilted and this failed to engage the reader. I remained detached from the characters as I never got a chance to peep “inside”. 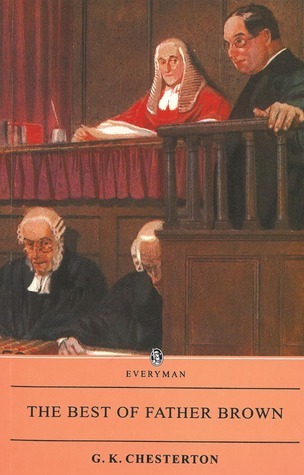 Chesterton remarked that the “detective story differs from every story in this: that the reader is only happy if he feels a fool”. Chesterton’s detective is a clumsy, amiable little Roman Catholic priest with “a face as round and dull as a Norfolk dumpling”. His appearance in the stories is so unobtrusive that spotting him in the story is almost like a game of hide and seek with the readers. He seems to be lurking in the shadows somewhere. But don’t get taken in by his humble exterior. He had been keenly observant all this while and proceeds to display startling flashes of brilliant understanding. He has such a deep understanding of the psychology of the criminal mind which he gained while listening to confessions in his capacity as a Roman Catholic priest. Father Brown, though an admirable character, is weighed down by the burden of Chesterton’s rhetoric and theological message. Unlike the brilliant logician created by Doyle in Sherlock Holmes whose sole aim is solving the mystery, father Brown as a subtle evangelist of the Catholic faith has to not only solve the crime and catch the criminal but also hopes to redeem the criminal. But unfortunately, Chesterton not only totally fails to extend this honorable and charitable attitude towards non-Christians but reveals himself as a downright bigot in “The Wrong Shape” where just the presence of a Hindu Yogi is enough to infuse the environment with “evil”. This, unfortunately, did not go down well with me. Besides the didactic and theological aspect so overshadows the narrative that the mysteries get flimsier and the reader gets impatient thereby making it more and more difficult to get into the stories. So, if this was the collection of the “best” stories by G K Chesterton, then you are not going to find me reading the rest of the stories. ther and father, hopeful child, inventor and explorer, every teacher of morals, every corrupt politician, every “superstar,” every “supreme leader,” every saint and sinner in the history of our species lived there-on a mote of dust suspended in a sunbeam.The Earth is a very small stage in a vast cosmic arena. Think of the endless cruelties visited by the inhabitants of one corner of this pixel on the scarcely distinguishable inhabitants of some other corner, how frequent their misunderstandings, how eager they are to kill one another, how fervent their hatreds. Think of the rivers of blood spilled by all those generals and emperors so that, in glory and triumph, they could become the momentary masters of a fraction of a dot.Our posturings, our imagined self-importance, the delusion that we have some privileged position in the Universe, are challenged by this point of pale light. Our planet is a lonely speck in the great enveloping cosmic dark. In our obscurity, in all this vastness, there is no hint that help will come from elsewhere to save us from ourselves.The Earth is the only world known so far to harbor life. There is nowhere else, at least in the near future, to which our species could migrate. Visit, yes. Settle, not yet. Like it or not, for the moment the Earth is where we make our stand. The year 2012 ended on an introspective note. December 2012 witnessed the extraordinary courage shown by an “ordinary” girl. Her ordeal galvanized Indians to demand a safer society. The interruption of a 23 year old life jolted us out of our collective ennui and has forced us to take a long good look at ourselves in the mirror. 2013, in all probability, will see some serious soul searching and introspection as a society… as a nation… and also…. as individuals. Even though the authorities are entrusted with the duty of providing safety and security to its citizens, duty of keeping the society stressfree falls on individuals because moreoften than not, stress is basically caused by interaction between individuals and even if it isn’t, a healthy interpersonal relationship can easily diffuses stress. This might appear to be a very simplistic model for a very serious problem. But I strongly believe tis to be panacea for a lot of social evils. We have to realize the fact that in the past few decades, a systemic erosion of human values has been going on. This has not only got to be stopped but the Herculean task of reversal of this process has to be set in place. Let’s resolve to make the world a better place for men, women & children. So many wrongs need to be set right. So many changes and modifications to be made in our collective as well as individual thought process. Freezing is not an option… it never was. so long as it is uplifting…. even if it impacts no ones life but my own. For me, this incident like countless others only evokes grief.. No anger. No doubt this last fortnight all but devastated our psyche. But even amidst such gloom and depression, there were quite a few strong beacons that prevented us from plunging into the abyss. The strongest was “Nirbhaya” herself. She refused to let the circumstances victimise her. Here was a “Victim” who was actually as heroic as anyone can possibly be. It was not pity for her that galvanized the nation, it was respect. I know I am not going to forget her. And I also know that she will continue to live in the consciousness of millions of others. And her memory will fire our resolve to make this place a better and safer place for all men, women and children. Call me an incorrigible optimist if you will, but somehow today I find myself more convinced than ever that things will take a turn for the better soon and there are far better days ahead for us than ever before. Yesterday, I was listening to some oldies on YouTube and I cam across a forgotten childhood favourite by Abba…I have a dream. I dream and desire for a place where every one can lead perfectly charming and ordinary life… where “living” does not translate into an extraordinarily heroic act. Yes I know, today, this sounds almost like a fantasy, a fairy tale. But I have faith that we can do it yet, and we, surely, will. It is NOT going to be easy though. But is that a reason for us to become cynical, to give up?